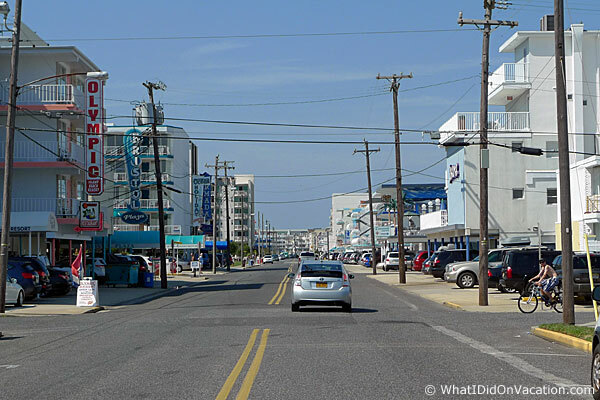 Driving along Ocean Avenue in Wildwood Crest. It's omelets galore at the Admiral's Quarters. 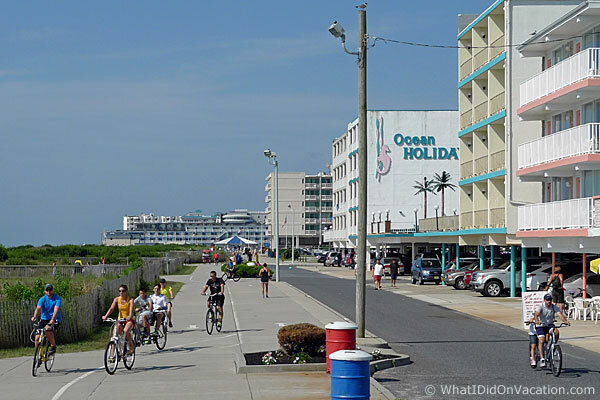 Biking along the bike path adjacent to Beach Avenue in Wildwood Crest with the motels as far as the eye can see. 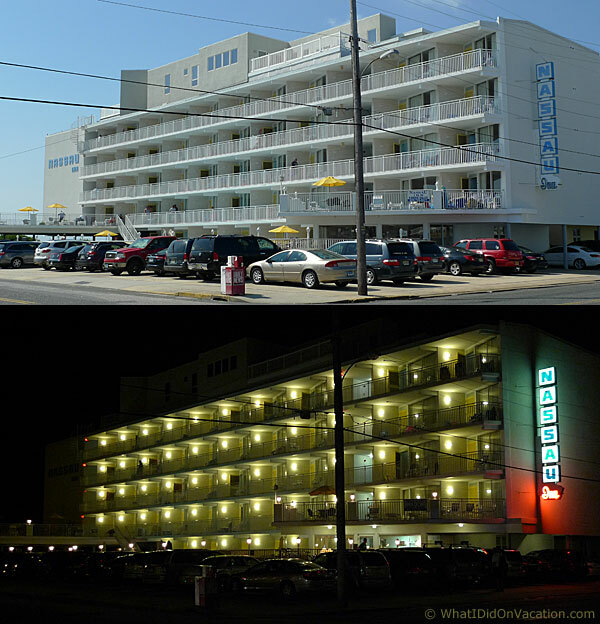 Colorful themes by day and dazzling neon lights at night, make the motels of the Wildwoods something special. Referred to as "Doo Wop" architecture, retro styles of 50s, 60s, and 70s have been preserved and updated. A walk through the resort island's streets along the shore is an attraction of it's own, conjuring feelings of wonderment and nostalgia. 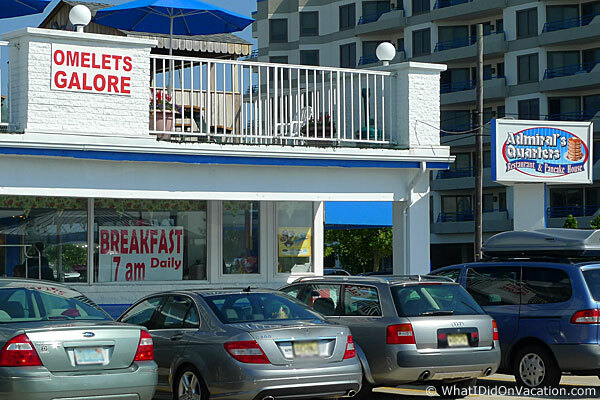 Below are just a few photos that highlight notable Wildwood Crest properties at both daytime and nighttime. 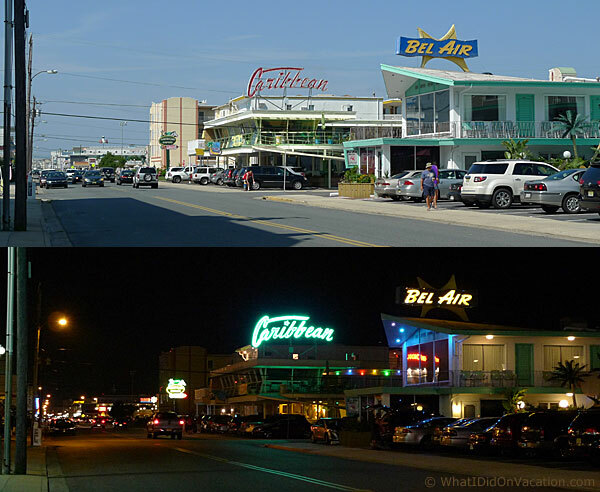 The Bel Air and Caribbean Motels day and night. 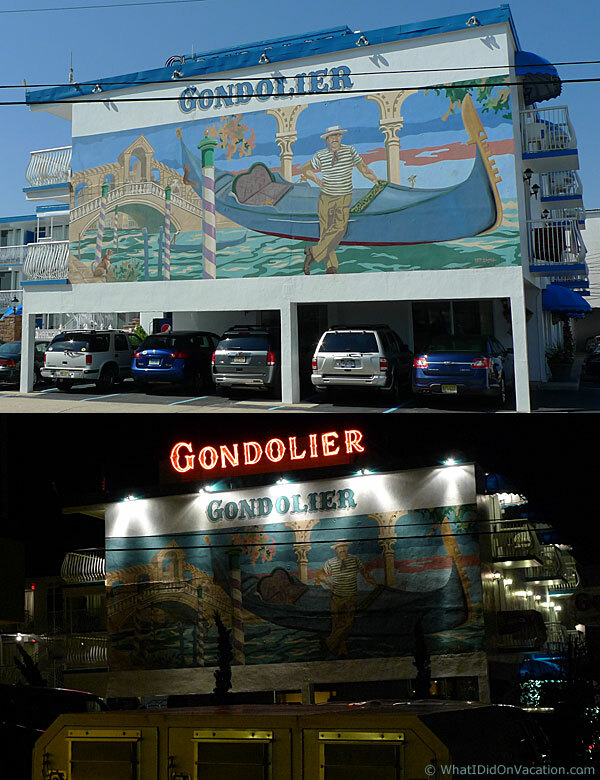 The Gondolier's neon sign and mural day and night. 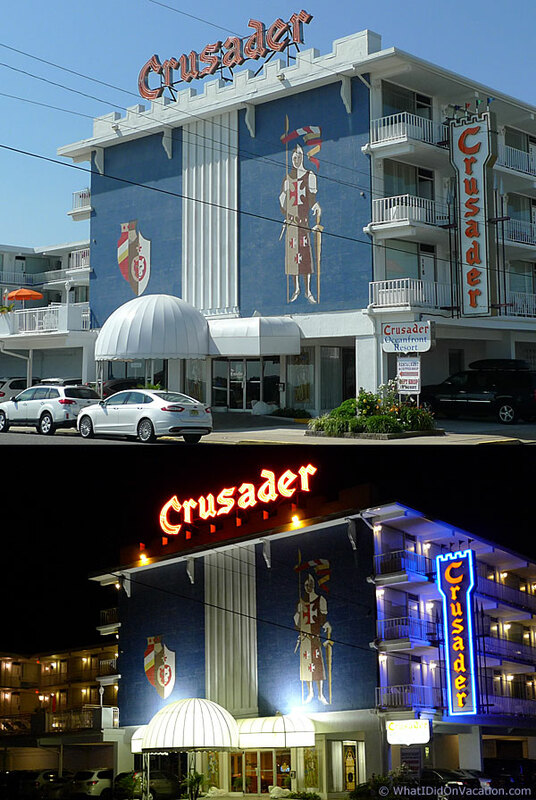 The Crusader's dramatic exterior day and night. The Nassau Inn day and night.